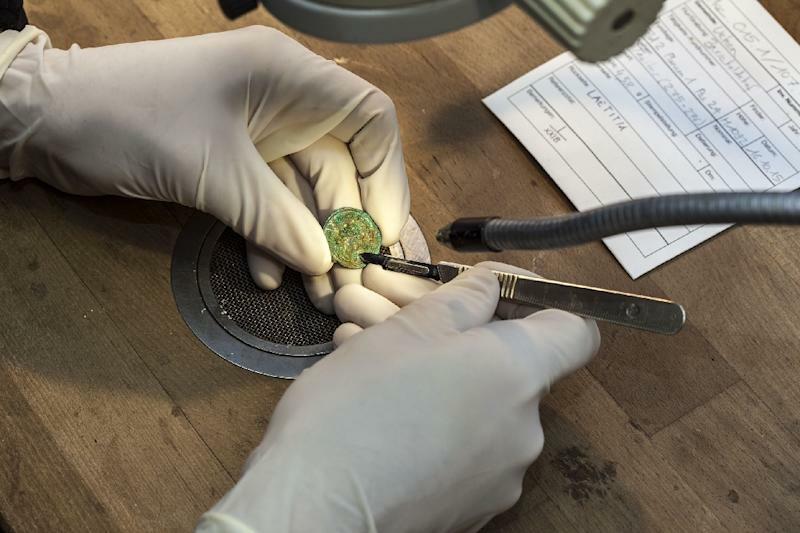 Geneva (AFP) - A Swiss fruit-and-vegetable farmer stumbled across more than tree roots when inspecting his cherry orchard recently, uncovering a massive trove of coins buried some 1,700 years ago, archeologists said Thursday. "The orchard where the coins were found was never built on. It is land that has always been farmed," archeologist Georg Matter told AFP, explaining how the treasure could have laid dormant for so long. 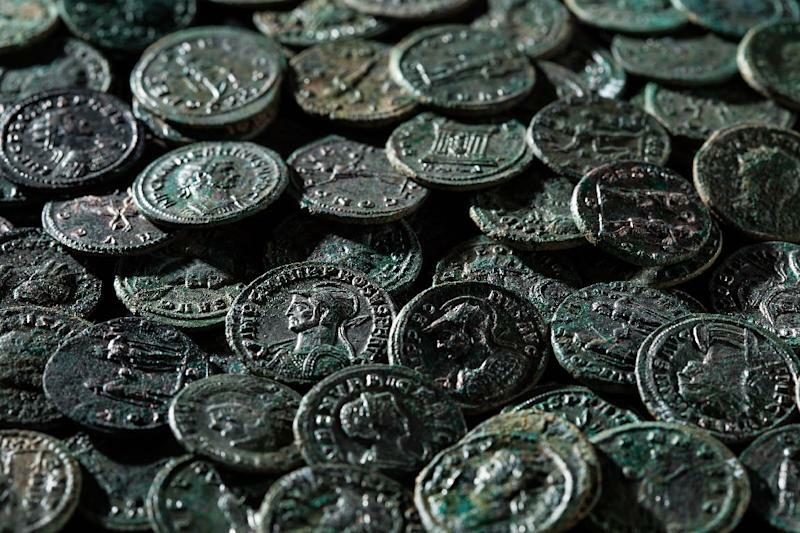 The coins' excellent condition indicates that their owner systematically stashed them away shortly after they were made, the archeologists said. "He will likely get a finders fee," he said, "but the objects found belong to the public, in accordance with Swiss law." The Ueken treasure is set to go on display at the Vindonissa de Brugg Museum in Aargau.